Controversial reggae musician Limbani Banda, better known as Lambanie Dube, is now managing veteran musician Sir Paul Banda. 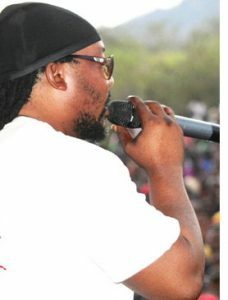 Lambanie Dube creator of the hit ‘Chisoni Nkumatenda’, has been out of the music limelight for some time but he said yesterday that he was back in the fold. “I have been there, only that I was playing a low profile. I am still in music and will continue playing my role as long as I am alive but I thought I should also come in and assist fellow artists hence managing Sir Paul Banda,” he said. Dube said Sir Paul deserves respect, having done a lot for the country in terms of music development. “I grew up listening to Sir Paul Banda’s music and up to now I enjoy his music. I still feel he is being left out of the picture. He is a legend and we need to utilise him fully and at the same time give him the platform to showcase his talent. As a manager, I am ready to work with him. “As I am speaking to you now, Sir Paul Banda is training with a band I have created known as The Slaves. I don’t want Sir Paul to be underestimated. He is a big artist and deserves better,” he said. Dube said there are a lot of projects he wants to embark on revealing that he is in the process of organising a festival to be held in August. On his own music, Dube said he was taking his time to polish up some of his songs and that he would soon come out with new songs. “We have more shows coming up later this month. All I can say is let people watch the space and let them support Sir Paul Banda,” he said. Before going silent, Dube used to work with Sir Paul’s brother Lucius and Zembani Band. 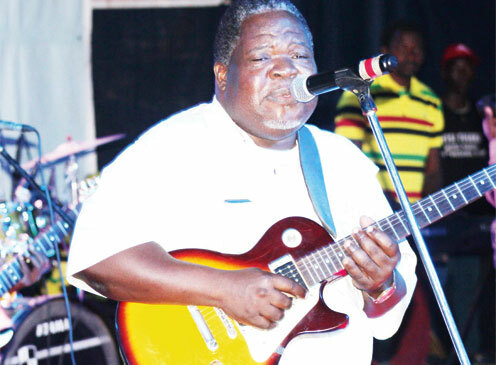 Sir Paul has in the past also been performing with Alleluya Band but, during Alleluya Band’s recent showdown in Blantyre, the legendary musician was not present. The veteran singer and guitarist, who has worked with several musicians and assisted many through the now forgotten Imbirani Yahweh Studio, confirmed yesterday he was now working with Dube. “It is true. I have just discovered what a good person he is; full of love for others,” Sir Paul said. He said Dube is highly misunderstood because he is open as well as straightforward in the way he deals with issues. “I am working with him because he came to hold my hand at a time I had lost hope,” Sir Paul said. The musician also indicated that his marriage with Alleluya Band was intact. “It is just that sometimes I miss something. There are times I would want to hold shows but Alleluya Band is not there, especially when they go for the annual Italy shows. So this is part of keeping myself alive,” he said.